The Straights are the Straights of Riggindale, essentially the valley's hause. A pair of golden eagles used to nest in this valley. They were a popular visitor attraction, for those prepared to walk, when raising their chicks, until the female died. 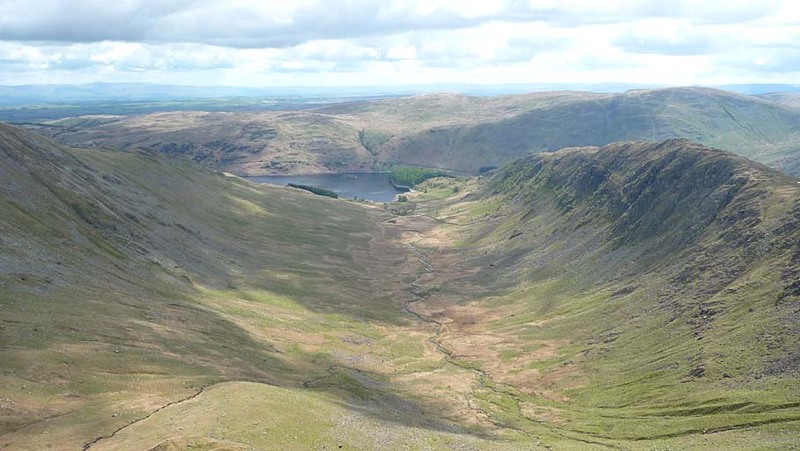 The slopes of Kidsty Pike are on the left, Rough Crag on the right and Haweswater reservoir in the distance. The three peaks beyond Haweswater from the centre to the right are Selside Pike, High Hawes and Branstree. Smaller version of this picture.